We offer first-rate asphalt construction and asphalt resurfacing for your residential space. We build, based on our years of knowledge and experience. At Bob Nichols Paving, we are capable of completing any commercial job in a professional and timely manner. Trust us for your asphalt, repair, sealcoating, and construction needs. Count on our experienced team to provide you with services that go beyond your expectations. We offer masonry construction for retaining walls, sidewalks, landings, steps, and patios- Residential and Commercial Services. Driveways are the forefront of a home. They can improve or worsen the look of your residence. With home improvement of a driveway you can achieve a better overall appearance. Whether it is asphalt, concrete construction, or brick pavers, Bob Nichols Paving will work with their customers to create a vision of what they would like their home to be, for years to last. Counties we serve: Frederick, Northern and Southern Montgomery County, Carroll, and Howard County. 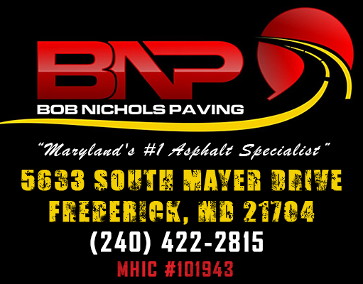 Bob Nichols Paving is an asphalt paving and home improvement contractor based in Frederick, Maryland. Since our owner, Bob Nichols, has worked alongside his father at an early age, he gained significant experience and knowledge in paving. We have more than 40 years of experience in dealing with all sorts of asphalt, concrete, masonry, and brick work. 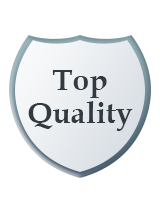 Our family-owned-and-operated company uses the latest equipment for all types of construction, addition, and repair. When you call us, we can start you project right away. We also serve clients in Fairfax County, Virginia. All home improvement contractors are required to have state and local licenses. To make sure that your asphalt paving contractor is licensed, call the Licensing and Regulation Division of Occupational and Professional Licensing at the Department of Labor in Maryland. Contact us in Frederick, Maryland, for asphalt paving you can depend on.